We woke up on Friday morning thrilled to be in Yerushalayim! 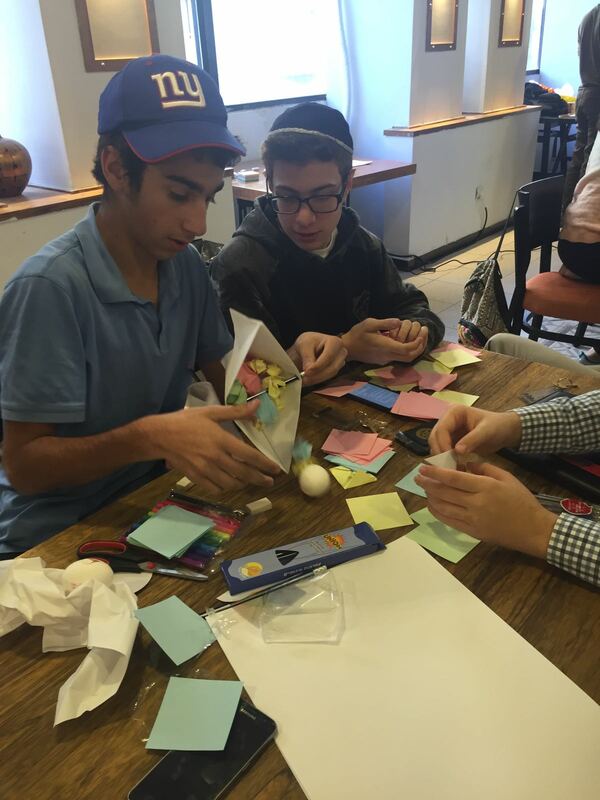 After Shacharit & breakfast, we had the last of our series of entrepreneurial workshops, a very interesting and informative session on Industrial Design with Amir Kadouri. 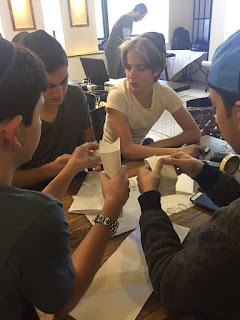 We learned about form vs function, how to make the form of your product match the function, and how to choose the right colors, materials and designs that will be the most appealing to your customers. We had design challenges- making a package to show and carry an egg, without breaking it, and other interesting projects. 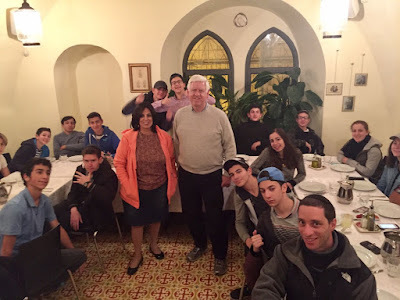 After this it was on to the Machane Yehudah Shuk for lunch and a little shopping. Finally we went back to the hotel to prepare for an early ride to the Kotel for Kabbalat Shabbat. It was truly moving to see the soldiers dance and sing in the start of the Shabbat. We were praying with extra kavana as we thought about our brothers and sisters who had to flee the raging fires that were set all over the country. We prayed for the much needed rain and for Hashem to bring peace to the land of Israel. We ate our festive and delicious Friday night dinner at Aish Hatorah, and heard Divrei Torah from our guide, Koby, and from Mrs. Bacon. After our brisk walk back to our hotel, we had optional team building and math games before turning in for the night. By unanimous choice, we chose to walk back to the Kotel for Shacharit. 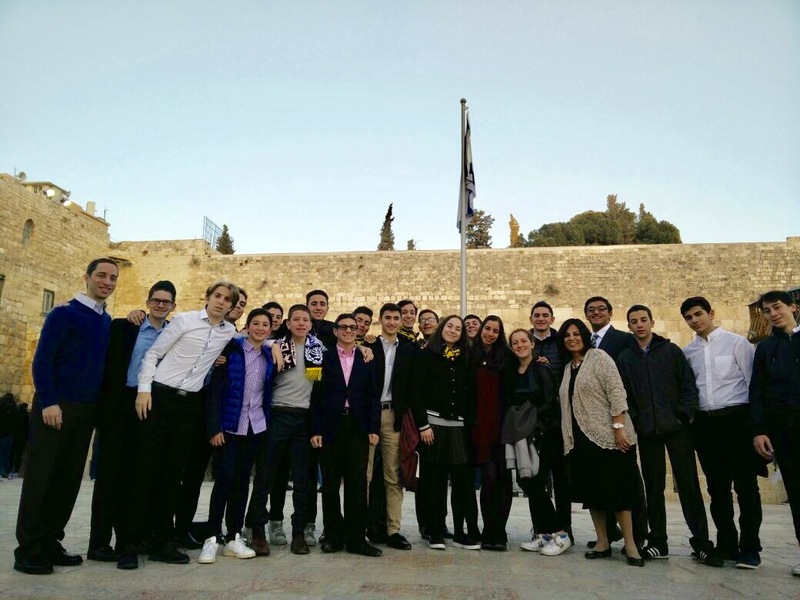 It was an incredible experience as Koby explained the history of Yerushalayim. 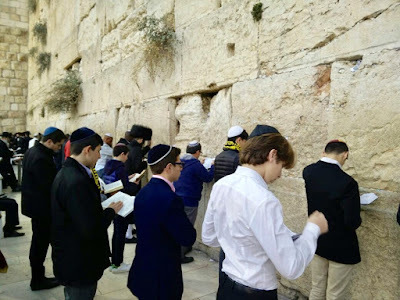 It truly made us feel connected to our history and ties to Eretz Yisrael in a way that is almost impossible to experience in a classroom setting. We had Shabbat lunch and an optional afternoon activity; most of us chose to rest - but some went to the park to continue to enjoy the Yerushalayim experience. After Seudat Shlishit, Maariv and Havdalah, we went back to our rooms to pack for our early morning departure from the hotel. Our closing dinner, which was held at Piccolino restaurant, included a conversation with Bob Rosenschein, the founder of answers.com, and a chance for each of us to say what they found most enjoyable and what they learned. The evening ended with an outing to Ben Yehudah Street for a little more shopping before finally going to bed for the night. We're now all home, after a long day of traveling, but the what we learned and experience this week will stay with us forever.